Application: Automobile Industry,Construction,Pharmaceutical / Chemical Industry,Oil & Gas Industry,are Oil & Gas,Industries,Chemical Industries,Pharmaceutical Industries etc. Stainless steel ferrule fittings are use 250kg cm2. We are authorized distributor of superlok usa(bmt co. Ltd)in india. 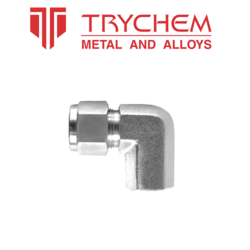 we have wide range of fittings solutions for pharma, chemical, laboratories , etc.